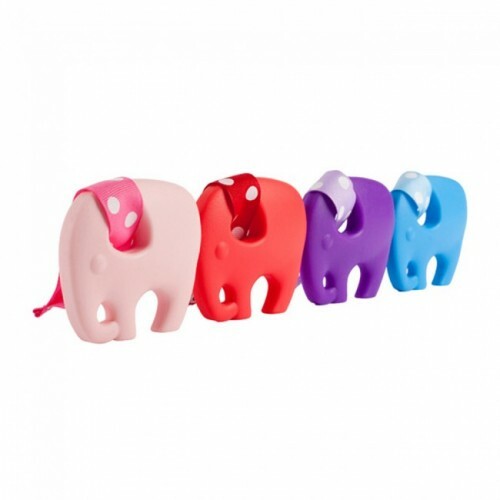 Nelly the elephant teether in bright blue with a blue spotty ribbon. 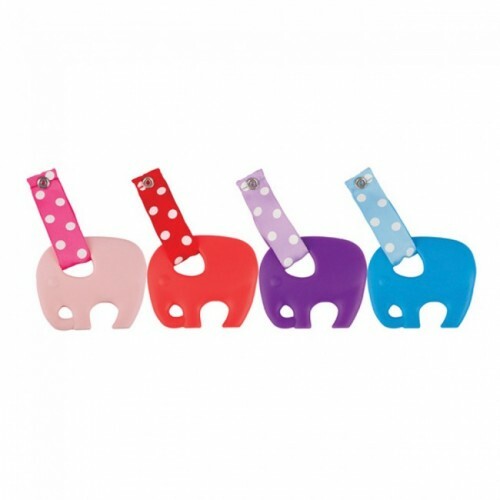 Skibz Doublez bibs with Pop-itz Teetherz are the perfect duo for your baby's teething needs. Teetherz are easily attached to the dribble-catching Skibz bandana bibs to keep a teething aid close at hand, making this innovative combination the solution to keep babies happy and comfortable. Yet another problem solved by Skibz! Easily sterilised. Please sterilise before use. Free from BPA, PVC, phthalates, lead, cadmium or heavy metals.